Sprint might not have an LTE network yet, but that isn’t stopping the carrier from releasing new LTE phones. 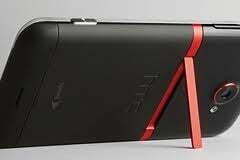 At an event Wednesday evening, HTC and Sprint pulled back the curtains on the HTC Evo 4G LTE. I got the chance to check out this dual-core Android 4.0 phone during a quick demo. Overall, I’m not blown away by the design, but the camera is impressive. The first thing you’ll notice about the HTC Evo 4G LTE (hereafter referred to as just the HTC Evo 4G, for simplicity’s sake) is that it’s rather large in size. 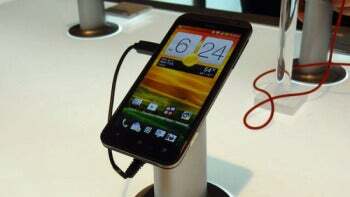 It has a 4.7-inch super LCD (720p) display, but the phone feels light and is comfortable to hold. Personally, I’m more of a fan of the 4.5-inch display size, as seen on the Samsung Galaxy S II. The screen is bright and attractive, as you might expect from the high definition screen. Navigating through Sense 4.0 on the HTC Evo 4G and in and out of apps was fast and fluid, thanks to the 1.5GHz, dual-core Qualcomm Snapdragon S4 processor. It seemed, however, that I could almost zip too fast through the screens at times, making the HTC Sense 4.0 animations seem very sharp and boxy. A demo of the Evo 4G's camera app. 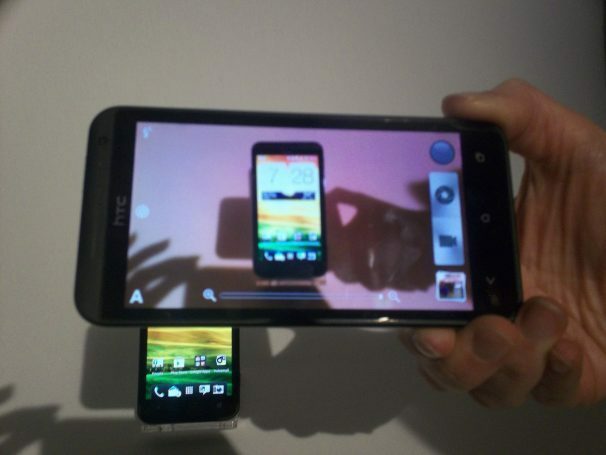 The standout feature by far on the HTC Evo 4G is the 8-megapixel camera, which uses the same HTC ImageSense software and ImageChip as the company's One line of phones. HTC says the design of the phone was inspired by DSLR cameras, with the red accent around the camera lens and band around the middle—which also happens to serve as a kickstand. The dedicated aluminum camera button was responsive. Pictures I took on the smartphone (under pressure, in closed quarters) came out surprisingly sharp and fantastically fast. If I were looking for a smartphone based on the camera alone, the HTC Evo 4G would definitely be a contender. The Evo 4G has a red kickstand. That fold-out kickstand is a nice touch, too. It seems sturdy enough that it wouldn’t break off, but that might depend on how much propping up for video viewing you might do. An HTC rep had a difficult time getting the kickstand out for demonstration without resorting to using fingernails, however. The only other qualms you might have about the Evo 4G is the top glossy back cover, which doesn’t really fit in aesthetically with the rest of the smartphone’s look. The removable top cover hides the microSD card but also catches fingerprints easily. The Evo 4G LTE will be available for pre-order starting May 7 and will cost $200 with a new two-year contract from Sprint.